People of all ages and backgrounds choose to do the 3 Peaks Challenge but some would prefer somewhere with more home comforts than a hostel to stay in. This package is for those people, those who are happy to pay a bit more in order for a more exclusive service. The itinerary is the same with the highest peaks in Wales, England and Scotland being undertaken but rather than roughing it the whole way stay in more comfortable surroundings and really relax after the event is over. 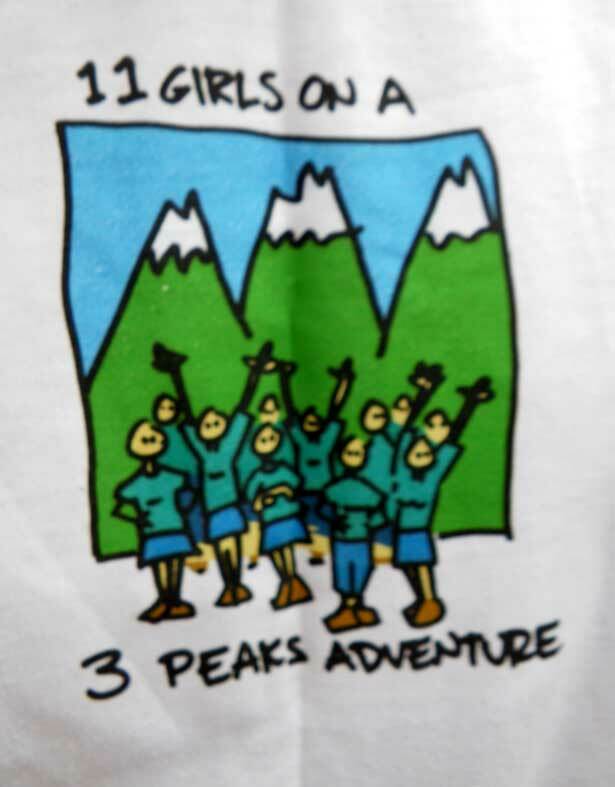 For full information on what the event entails see our Three Peaks Challenge (Standard Package) in the Adventure Challenges listings page. Why not take this night at the end of the event and treat it as a celebration night? Includes either a single, twin or double-bedded room with a 3 course evening meal and breakfast the following morning. Doing the event on a north to south routing? Why not celebrate at the end of your Saturday-Sunday challenge by staying Sunday night at the Bryn Tyrch Inn, Capel Curig, Snowdonia - for more info click here! The food and accommodation are superb and you can start your journey back home after breakfast on Monday morning. The group will be picked up from Glasgow Airport or Railway Station (on a north to south routing) and transported up to Glen Nevis. In the Nevis Inn Car Park our guide will give the group a health and safety briefing and then you'll begin the first leg of the challenge by heading off up the tourist track of Ben Nevis. By the following morning if the group has been sticking to the necessary time schedule you'll be on your way down to the final peak in Wales, after having completed Scafell Pike during the night. Finish Snowdon without 4 hours to successfully complete the challenge. You'll then be taken to your accommodation for a night of celebration, some hearty food, hot showers and a comfortable bed. After a great night's sleep and a hot breakfast the group will be transported back to a drop off point in the north west such as at Manchester Airport or Warrington Bank Quay Rail Station. Price is based on our premium package for group size 8. However, we can provide specific costings for tailor-made events on receipt of your booking request.